Spicoli said it best. This book is awesome. Spectacular, impressive, marvelous...and all sorts of similar adjectives. An utterly fascinating look at the ins and outs of Scientology. I've been meaning to read The Snow Child for SO LONG. My book club is meeting to discuss Going Clear tomorrow and all we've done for the past week is threaten to Sea Org/RPF each other if we don't bring certain foods to the get together. It's going to be crazy fun. So glad you read and enjoyed it! I thought it was an absolutely wonderful book :) I hope you do read and love it! Sounds like you had a fantastic reading week. I really did :) I hope May turns out as well as April did for me. In the reading realm anyway! The Snow Child sounds interesting! 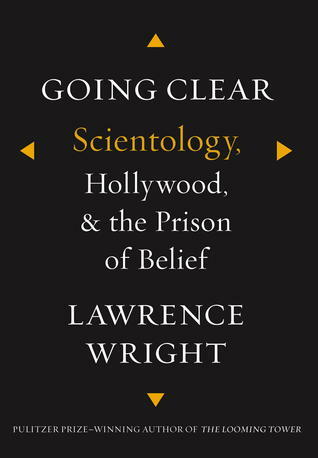 I don't usually read non fiction books, unless they are of the true crime variety, but an insight into Scientology would be pretty interesting I imagine... It's one of those religions I know very little about... But then again, am I the only one? I'm a giant fan of nonfiction. I don't know why but it's true :) They try to keep their stuff close to their chest so no, you certainly aren't the only one! 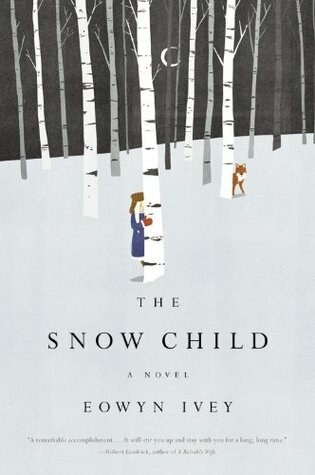 I really want to read The Snow Child! The cover of Snow Child keeps calling to me... reaaaaad me. I'm beauuuuutiful! Then you have to go and love it and the voice is just impossible to ignore. It's on my list! I know just what you mean Monika :) It's absolutely lovely. And the inside is even better! LOL love the GIF reviews! I'll keep an eye out for The Snow Child. Thanks Sarah ;) I do these now and then to spice things up around here, lol. Thanks! :) Happy Sunday to you too! I love the GIFs - made me laugh! I'll definitely have to check out The Snow Child. Thanks! I hope you do, it's fantastic! I have to be honest, I totally was underwhelmed by the end of The Snow Child. I read the whole book just knowing that I'd cry at the end, that it would be so emotional, and then it ended and I wasn't emotional at all (and I cry at EVERYTHING). 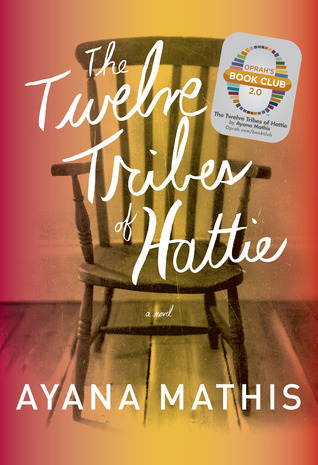 But I did looooooove The Twelve Tribes of Hattie. And yes, Hattie is remarkable! I enjoyed The Twelve Lives of Hattie and glad you did too. I love fairy tales so putting The Snow Child on my tbr list is a no-brainer. So much goodness... that I haven't read any of. I've been wanting to read all of these books, though. So glad you liked them! Thanks :) Once in a while when I'm looking through blogs I see a bunch of books that I want to and haven't read and it makes me a bit nuts, lol. "Drowning in Feelings"-- That is the perfect description for Tweleve Tribes of Hattie. I read it a couple of months ago and it still creeps up on me at times. Going Clear sounds like a fascinating read!